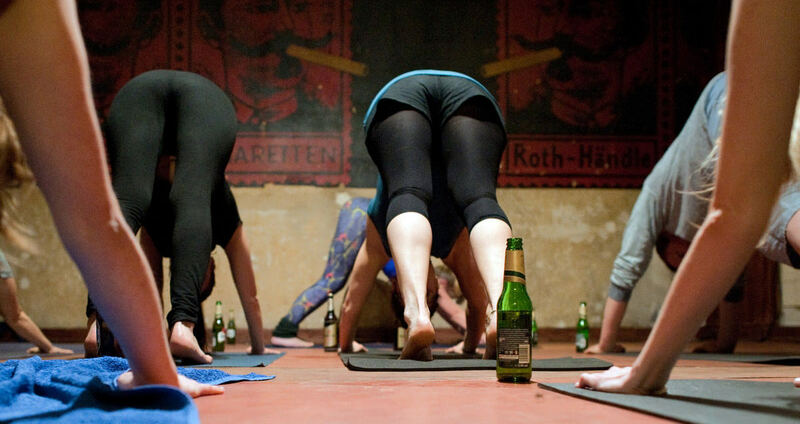 Beer Yoga is a trend that is expanding at an incredible rate in the world. This concept will satisfy all beer lovers, and of course invented by big beer drinkers - the Germans. Almost all raise the question of where they can find "Beer Yoga", and the authors of this innovative trend correspond to the voice: "It is everywhere, in a cafe, at festivals, at birthday parties, or to any other place where you can drink. " "It's fun, but it's not a joke. We used the philosophy of yoga, which we paired with beer in order to reach the maximum level of our consciousness." 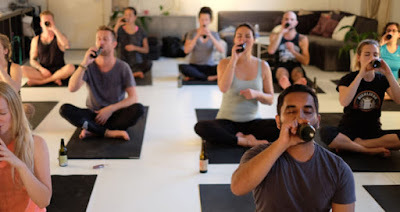 Each training includes drinking beer in yoga poses, and that means that sometimes you can balance with a bottle of beer on your head or to drink a sip and stay as long as possible in a particular pose. "Both yoga and beer are thousands of years therapy for the body, mind and soul. 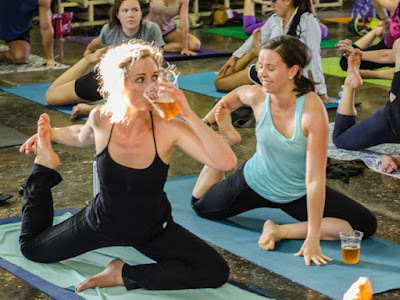 Joy of beer and awareness, flexibility and balance that is achieved with the help of yoga together complement each other in order to raise the level of energy and health," it said on the website. Does beer have too many calories for this training? And this question has a good answer. "Moderate drinking of beer has many advantages - it is good for the heart, protects us from diabetes, cleans our body, but few people know that once beer was the perfect drink for people to relax after a marathon. 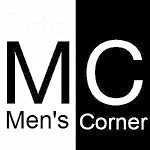 It is good if you are not overdoing it." Wisely choirs founders of unusual yoga.